As a professional, how do you integrate consciousness, mindfulness and self-care into your work and life attitude? TheÂ ongoing supervision track is developed with the purpose of supporting you in this. It focuses on the interaction between personal and professional growth. There are 5 supervision days per year. 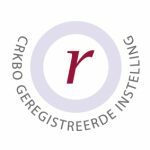 Conscious Living Consultancy and Training is acknowledged by the Dutch government as a training institute. It is registered as such at the CRKBO and complies with the quality code for Training Institutes. As a professional, you acknowledge that personal development is the basis for professional growth and depth. 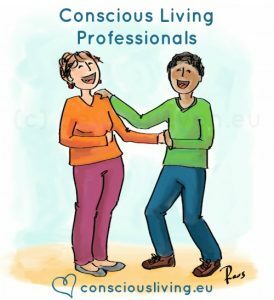 You’d like to get to work with conscious living in an experience-based manner. For example because you want to develop your leadership skills or integrate the natural processes of recovery and change into your work and life attitude. Or because you’d like to increase your insights and tools in order to change the corporate culture of your company from the inside out. To integrate conscious living helps you to work more consciously, in such a way that it increases and deepens your inner balance or well-being. When you’re actually ready to get started with consciousness, mindfulness and self-care at work, you can run into all sorts of questions and pitfalls. In that case, it is reassuring to join a supervision group that offers you, and other conscious living professionals, guidance and feedback. A safe place where you’re invited to express all your questions and concerns. A place where, time and again, you receive inspiration and tools for deepening and growth. Also, a place with undivided attention for your well-being. The supervision group offers you, a driven professional, the inspiration, safety and feedback you need in order to grow, personally and professionally. It guides you through pitfalls. It offers you the support and insights you need in order to actually integrate consciousness, mindfulness and self-careÂ into your current work. The emphasis is placed on doing. How do I cope with feelings and emotions of others? How do I take the natural processes of recovery and change into account? How do I create and maintain an atmosphere where there is room for every individual to be seen? How do I deal with pain and emotions that are triggered inside me during work? How do I give feedback which is right and thoughtful? How can I prevent someone from feeling rejected? How do I cope with resistance? How can I deepen and refine the work attitude of my team in a subtle way? How do I stay balanced myself? How do I cope with conflict? The supervision group provides added value to professionals who work with people. The people you work with can be your patients, clients, customers or colleagues. The supervision group is provided at higher educational level or equivalent ability. The supervision group is open to professionals who’d like to apply consciousness and self-care into their work. In order to participate, it is required that you want to integrate conscious living and working into your current work. So it is important that you’re able to integrate what you learn right away, at your own pace. Therefore, you preferably have more than 5 years fulltime work experience in your current field of activity. Both self-employed entrepreneurs and salaried workers are welcome to participate in this supervision group. An eager and development-oriented approach will form the connection between you and other participants. You’re interested in the psychology of human nature and you’d like to be able to recognize and (learn to) apply the natural processes of recovery and change. You have a need for enrichment and an in-depth insight into your own and other people’s humanity. You would like to receive individually tailored feedback. To make sure that we get down to the nitty-gritty and deliver the results we long for each time we meet, it is important to me that there’s a common ground in experience-based knowledge. 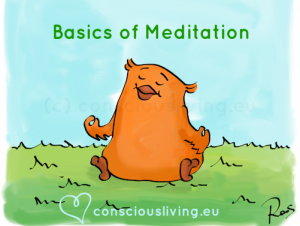 Therefore, I ask you to acquire the Basics of Meditation online course (8 lessons) prior to (or during) your participation in the supervision group. Tip: with each ticket strip you buyÂ (see info below) in order to participate in the supervision group, you gain access to one online course. 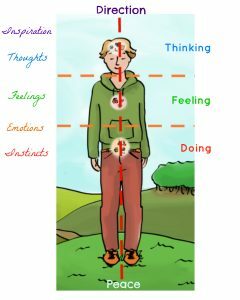 It is also necessary that you gain experiences with the content of the book The wisdom behind emotion and feeling, e.g. by answering the reflection questions at the end of each chapter. By going through the Basics of Meditation online course and the book, you build a foundation in acquiring experience-based knowledge. A basis in getting to know yourself better, including your qualities, sensitivities and pitfalls. As a result, you’re able to get started with the input of this supervision group quicker and more efficiently. The supervision group is ongoing so you can enroll anytime you like. I provide 5 supervision days per year, all on a Friday. In order to participate, you buy a ticket strip of 5 supervision days. The ticket strip is personal and valid for 18 months. This way, you’re able to join 5 times throughout the year and to miss a day if necessary. access to a private Facebook group where, in between the training days, you can find answers to your questions and exchange experiences with other participants. The supervision group sessions take place in Groningen area, the Netherlands (Europe). It is also possible to book it as In-company training. Please contact me for further information. You can enroll in the supervision group by sending an email to info [at] wendyvanmieghem.com . I will contact you as soon as possible (working days only). TheÂ property and copyrightÂ of this training both fully rest with Wendy van Mieghem. 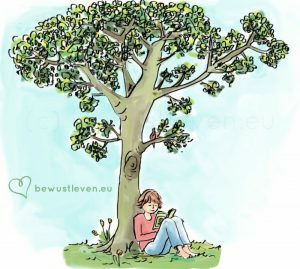 Youâre not allowed to publish, share, copy, duplicate or disclose any information from this training course nor from the online courses without having received prior written permission from Wendy van Mieghem.